UK Stampin' Up! 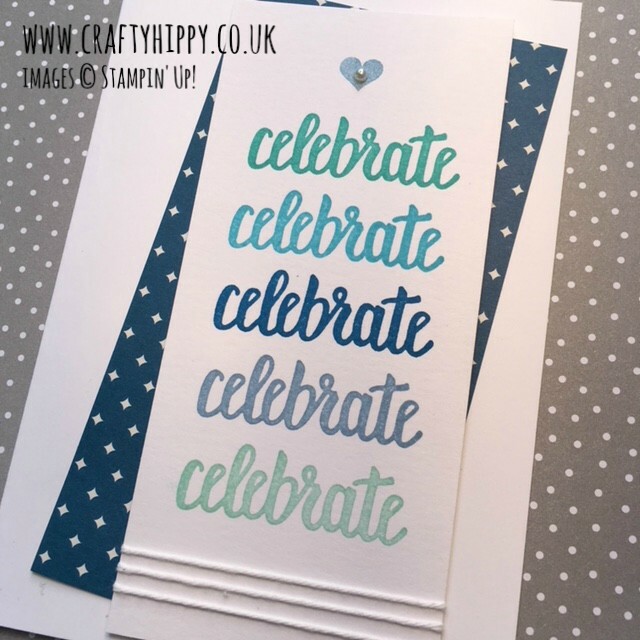 Demonstrator | make beautiful cards | Crafty Hippy: Make this gorgeous card: Graduate in shades of blue using the Amazing You stamp set from Stampin' Up! Make this gorgeous card: Graduate in shades of blue using the Amazing You stamp set from Stampin' Up! 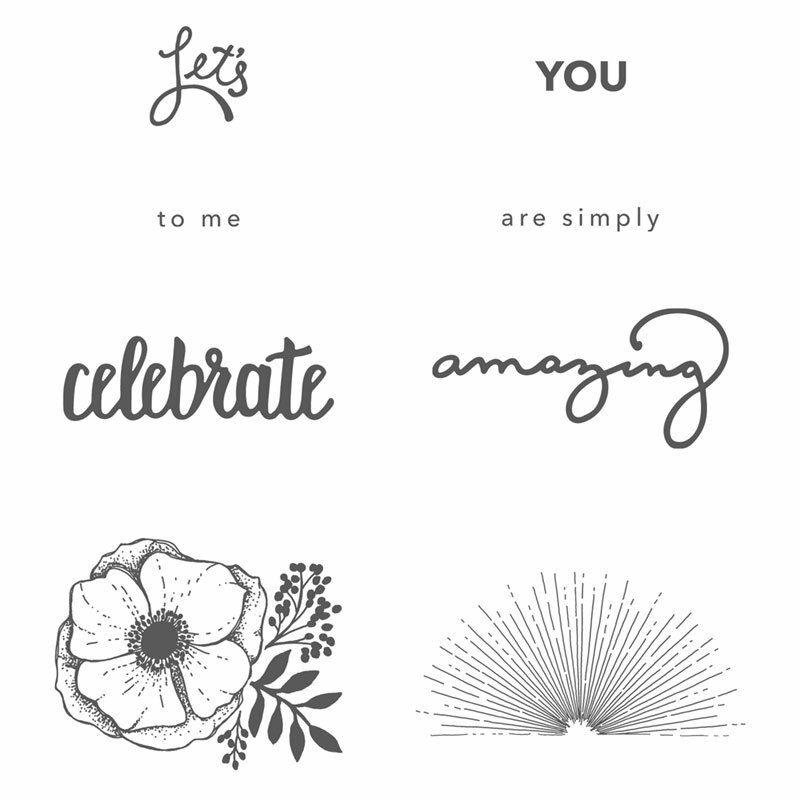 Create this beautiful card using the Amazing You stamp set from Stampin' Up! It's really miserable here in the UK today. Over the last few days a lot of the country has seen snow; whereas Suffolk has just been cold and wet. It's hard to do much when the weather is like this, especially when this weather makes me feel so unwell. I have been suffering from crippling pain and fatigue all week so I have not done much in the way of crafting. Yesterday I felt a little better so managed to make this card. I think the graduating shades of blue are really apt for cold it is and how I am feeling at the moment, brrrrr! 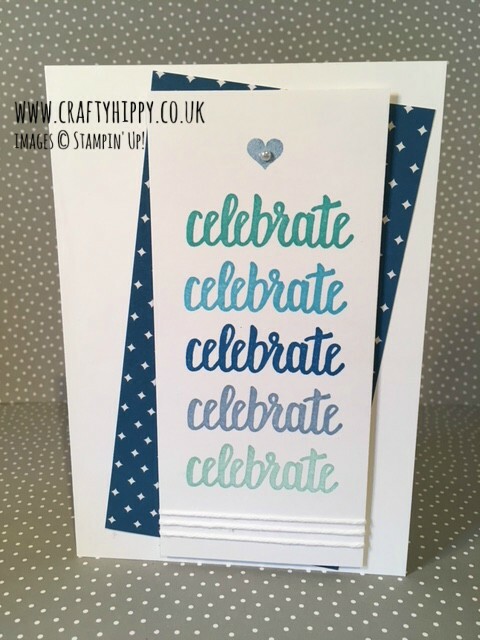 If you dropped by yesterday (thank you) you would have seen the 'celebrate' stamp that was the focus of my project. Today is the same except I have used it in a slightly different way. I stamped in several different shades of blue in a line, which has worked really well. I used the Stamp-a-ma-jig tool to make sure the stamp was lined up correctly before stamping. 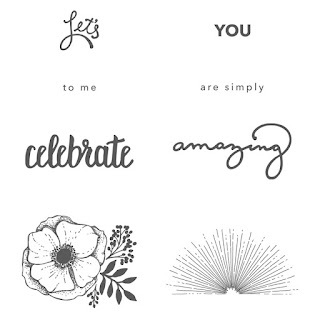 If you recall, the Amazing You stamp set is actually FREE when you spend £45 on products. That is because we're in the middle of our Sale-A-Bration promotion. You can find the full list of products I've used for this project in the chart below. I hope you manage to warm up if you're somewhere cold like me!